I recently filled an order for a cake to be made as a surprise for a lovely young lady who is lucky enough to be heading over to Japan for a great adventure. 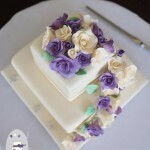 The cake itself was a gluten free lime and coconut cake, covered with fondant. 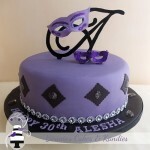 A brown handle and straps with silver buckles were created to make the cake resemble a suitcase, or ‘suitcake’ as I jokingly like to call it. 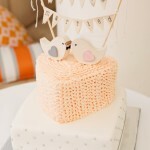 The suitcase cake (or ‘suitcake’!) before the decorations were added. Lime & coconut cake (gluten free). 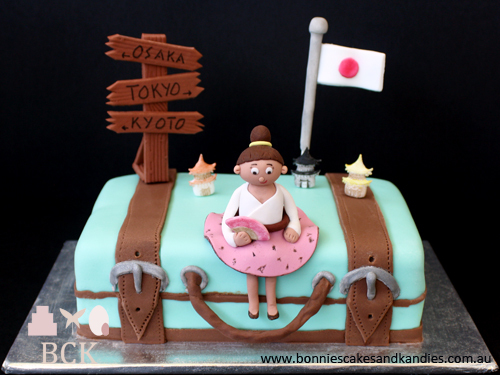 A suitcase cake would be a great farewell by itself, but to make this cake even more special, I made decorations to suit the theme, ‘Japan’. Here is the finished product! 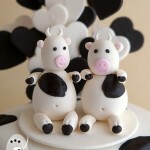 Suitcake! 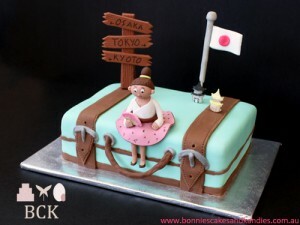 A suitcase cake decorated with a ‘Japan’ theme for a farewell party. 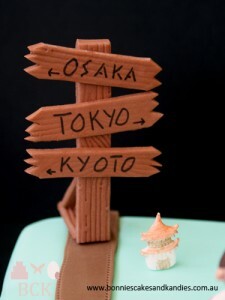 Decorations included a Japanese flag, three small buildings in a Japanese style, and a fondant figurine to represent the intrepid traveler Also present is a signpost incorporating the names of three Japanese cities on her itinerary: Osaka, Tokyo & Kyoto. Signpost showing the way to Osaka, Tokyo & Kyoto. 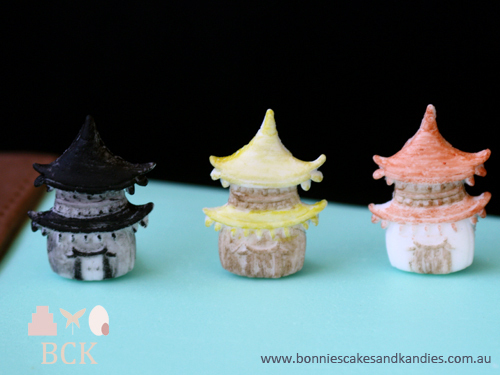 Three little buildings added to the cake’s Japanese themed decorations. 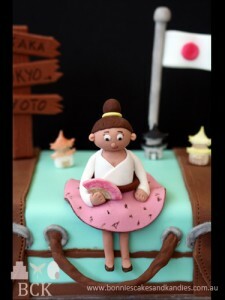 Complete with a small Japanese fan, a special fondant figurine was the focal point of this Japan-themed suitcase cake. Edible luggage is one delicious way to make sure you don’t go over your baggage allowance! 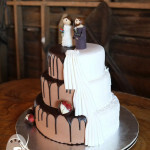 Everything on this cake was edible, apart from the handle and the inside of the flagpole. 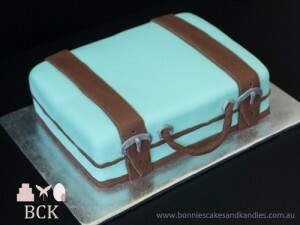 Another view of the cake made to resemble a suitcase. Here’s hoping our traveler has a fantastic time in Japan and enjoyed her suitcake send-off. Bon voyage!